In the last financial year, the power producer made a profit of Rs 245 crore on a turnover of Rs 3,778 crore. Engineering behemoth Larsen & Toubro (L&T) owned supercritical power plant at Nabha in Punjab, which is facing shortage of thermal coal in running the plant and shut down of one of its 700 megawatt (MW) unit in mid-2018, is looking for a sustainable turnaround as the power producer stares at a financial liability of around Rs 8,000 crore. The company, which made the first unit operational in December 2013, built the project at a cost of Rs 11,000 crore, including an equity contribution of around Rs 3,000 crore. The positive news is that power demand has picked up in the country after rampant electrification of households and rise in the industrial demand. In the last financial year, the power producer made a profit of Rs 245 crore on a turnover of Rs 3,778 crore. It made a loss of Rs 26 crore in the previous year. Nabha Power owns and operates two 700 MW (total 1400 MW) supercritical thermal power plants. Under the Power Purchase Agreement (PPA) with Punjab State Power Corporation (PSPCL), which is for a period of twenty-five years, the entire power generated from this plant is sold to PSPCL. The plant is built on super critical 216 technology of Mitsubishi Japan. It is the first 'Made in India' supercritical power plant in the country. The plant sources its fuel from South Eastern Coalfields, a subsidiary of Coal India, under a 20-year Fuel Supply Agreement (FSA). The company also secured approvals to arrange coal from alternative sources to make up for any shortage in supply of coal under the FSA. The state government has allocated the perennial source of water for the plant from the Bhakra-Nangal distributary. The construction giant bet heavily on power business during the boom time and built it as a referral plant, using the super critical technology and Indian coal. Before that it formed a joint venture with Mitsubishi Hitachi Power Systems (MHPS) for manufacturing super critical boilers and turbine in Hazira. Until then the country was known to the sub critical technology of BHEL, which was struggling to execute its orders. Altogether, L&T had initially committed about Rs 25,000 crore investments until 2012--including Rs 4,000 crore for shipyards and ports; Rs 2000 crore for nuclear forging; Rs 2,000 crore for supercritical boilers and turbines; and Rs 10,000 crore for Nabha power plant. L&T's capital light balance sheet was hurt because of these large capital commitments. The company's core engineering, procurement and construction (EPC) business always required minimal working capital rather than the equity and debt capital. Since the assets on books were low, the company's return-on-equity was 27 per cent in 2007. After the commissioning of large projects, the ROE fell to 10-13 per cent because of the under utilisation of capacities. Power projects across the country went through a crisis because of the lower demand, unavailability of fuel and difficulties in signing PPAs. The Nabha plant of L&T was operating below the optimum capacity because of these issues. 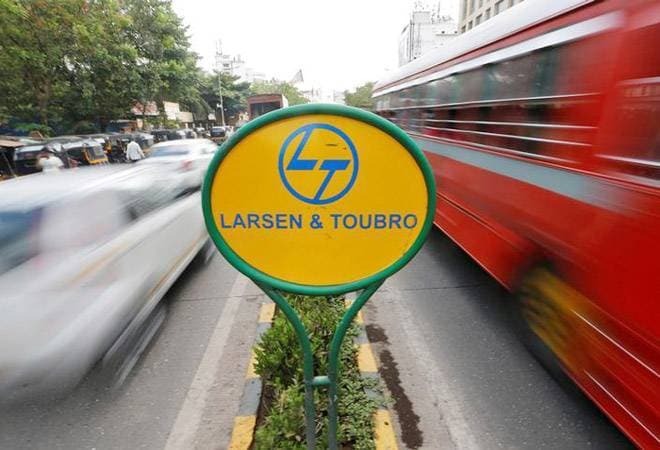 L&T earlier had the plan to make the balance sheet light, divesting some of its non-core assets. As part of the move, it divested the port in Kattuppalli from the shipyard. It is not clear whether the company has such plans for Nabha plant. Since 2005, L&T has been investing on concession business--roads, ports, metro, airports and transmission line, it included Bangalore airport (sold their stake to GVK in 2009), Hyderabad metro (still owned by L&T), built ports in Kattuppalli and Dhamra, which was in JV with Tata Steel but sold to Adani Ports, and invested in a transmission line in Karnataka. Will the government push for an appellate tribunal for RBI?